This time it was very interesting! There was so many new models it felt like there’s no time enough to get to know all of them. Luckily I’m not a big fan of sportbikes… So few bikes wasn’t so interesting to me. Maybe the biggest group of interested viewers was around this bike. It’s no wonder. The bike looks very good! It has hew parallel twin engine that KTM introduced last year. The engine has little bit less power than in 790 Duke but of course the torque is better is all rpm’s. Bike has almost all possible electronics: traction control, cornering abs, offroad abs, ridemodes and so on. It has 20 litres tank that gives the bike easily more than 400 km’s range on the road. Tank is placed around the engine so the center of gravity is very low. 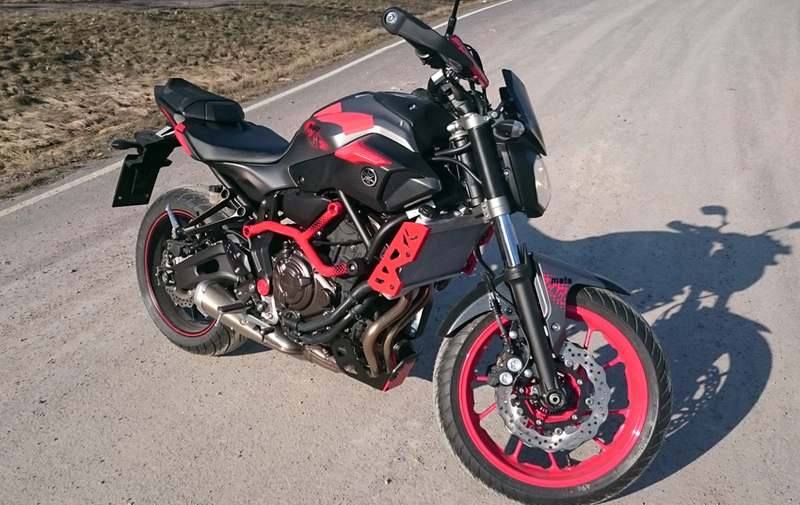 Price for this bike is 18500€ in Finland! It was difficult to take pictures of this bike! There was so much people all around it all the time. Another adventurebike but totally different kind of idea! This is simple, not too much electronics and it looks more ready for an OffRoad ride! It’s almost 6000€ cheaper than KTM! The final price is still open but they said it will not be more than 12800€! 200mm travel is not much but they’ve tested this bike quite long time so I guess they think it’s enough. 16 liters tank gives this bike more than 300 km’s range. It should’ve been white-red bike in the show! But this look very good! It calls me to make an offroad ride right now! And here is another adventurebike but yet again totally different kind of thinking. This is legend of all touring/ adventurebikes but now it has bigger engine, more power and torque and it’s again more expensive. It has simply everything you can ever imagine the bike could have… -Ok, no reverse gear or automatic gearbox but anyway. Suzuki makes a nice return to interesting and “modern” bikes. But the funny thing is that the design is very retro when it is based on 80’s Katana. 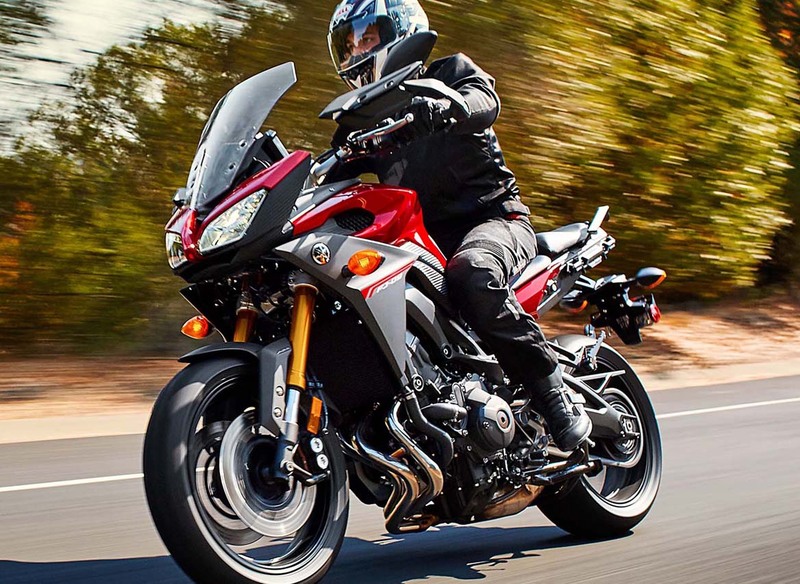 The engine they take from GSX-S1000F so it delivers very nice power and easy riding. And the way it looks it will always give strong feelings to all pure motorcyclists! 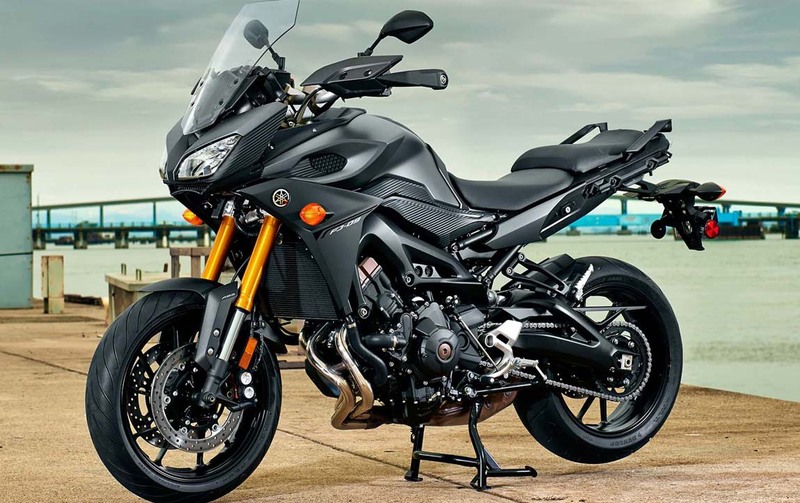 Triumph presents new line with 1200 Twin engine. The bike still looks totally retro but the engine is now more like modern and sporty. It delivers 96 hp with 112Nm torque in 4950rpm. Compare this with T100 engine: 64hp and 80Nm in 3800rpm -you can say that there is a big difference. Unfortunately we didn’t have time to get to know the city of Ravenna -I bet it would’ve been beautiful! We took the big road to south and San Marino. The streets of San Marino are full with very expensive cars! We stopped on the “Other side of the mountain” when we saw some possible places to park the bikes. But there was no cafe or even a grocery store! The roads on the westside of San Marino… OMG! They are nice! There’s a corner after corner, twist after twist and some very nice views all the time! But the whole route from San Marino to Livorno is excellent riding!! There’s not much traffic, the scenery and views are great and you will certainly enjoy riding! I really recommend these roads! The pink decorations are there because it was the 100th Giro d’Italia this may. But I had the time to visit the starting point and go to the corner few km’s after the start. 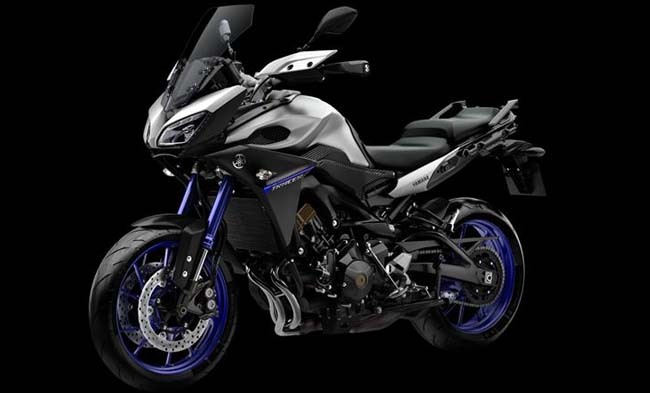 Yamaha MT-07 Cage (edition) and this actually looks very cool! Then I turned the engine on and started to smile a little bit. It sounded so nice (for a small bike!). Took a short test ride and noticed how very easy it was to handle with the throttle quite sensitive but it was easy to learn how much you can twist it without bike attacking like crazy. And actually when the bike is so light (not more than 170kg’s) and it has this new 2-cylinder engine it was so much fun to ride! It really felt like a sport bike and like a big bike at the same time! Just because it gives so much power even from the lower rpm’s. Amazing cheap, amazing power and very easy to ride…. Big recommendation from me!